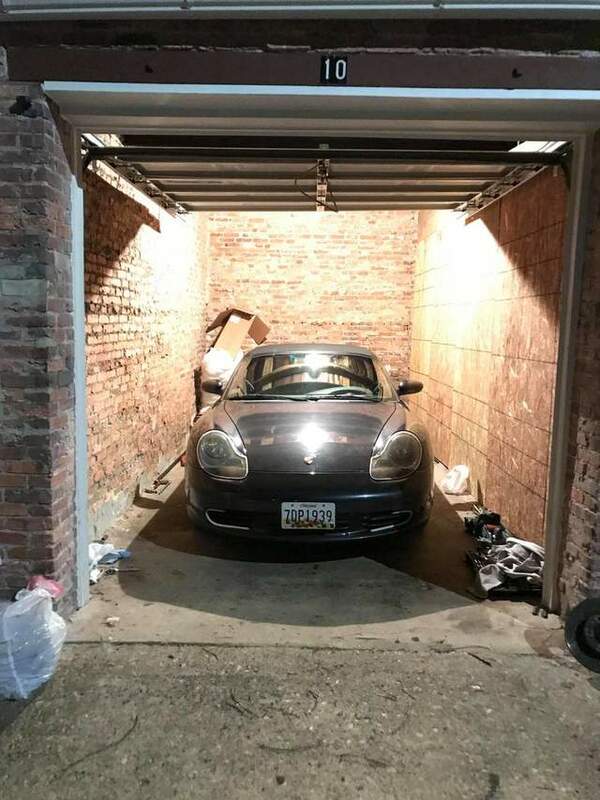 What did you do with/to your Boxster today? geof3 where did you source the cover from? Tried a little experiment. 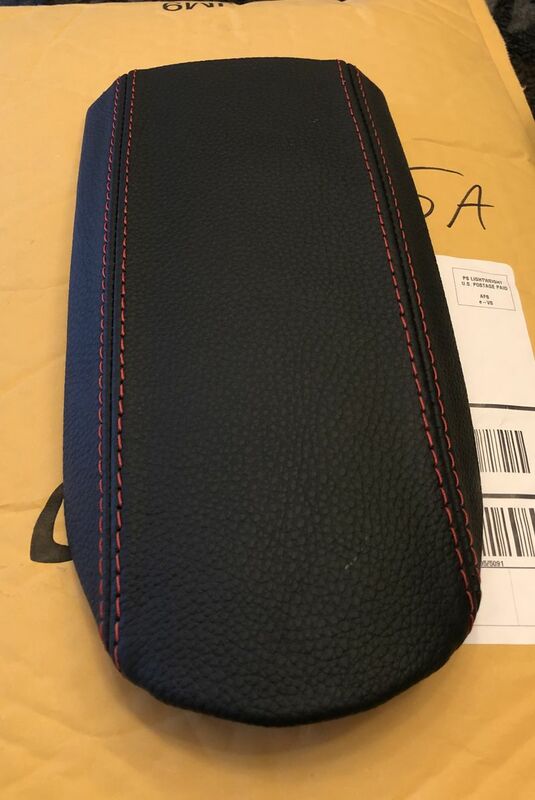 Bought a leather cover for my console lid and tackled the install. Not hard, but not easy. Fortunately, I have a little experience with this type of stuff, so sort of had a clue going in. For $29.00 and about 2 or so hours... I think it worked out nicely! I could be interested in sourcing the install. Not including the part or shipping to/from... what would you charge to install that? Thanks! New visor mirrors and covers are on. No soldering required! Essentially one would remove the contact bars that the red and black wires are soldered to and transfer them from the old housing to the new housing. Snap the housing into the visor and presto, refreshed. Thanks... it looks great. When I get mine out of hibernation I'll consider doing it. Put on new front rotors and pads. Had to take a lyft to the nearest home depot to get the T55 torx socket to remove the calipers. What are the details on the rotors, make, price, etc? If i may make a suggestion on replacing your axle boots. I had to replace mine and i didn't use that evasive ball joint fork to remove the axle. I used a ratchet strap. It's harmless to the ball joint and you're not beating on your car. Put the rear of the car on jack stands. chalk the front wheels. wrap one end of the strap around the ball joint carrier, place a floor jack under the centre of the rear suspension, feed the strap under the jack, wrap the other end of the strap around the upper control arm on the other side of the car and take up the slack. this creates a V under the car. 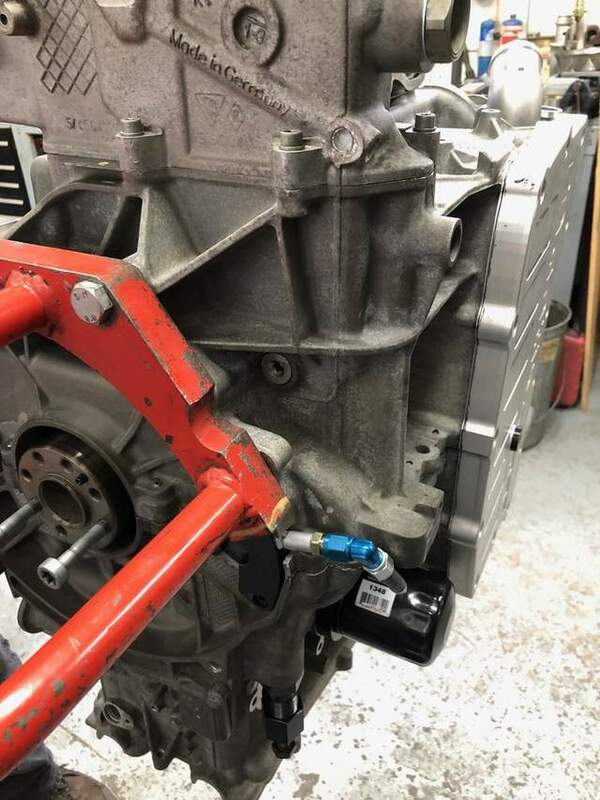 Now just gently pump the jack a few times and the ball joint easily pops out because you are using the weight of the car to pull it. Then just set the car slowly back onto its jack stands. I can't take credit for this method. My neighbor is a retired Air Canada aircraft mechanic with an engineering degree and a brilliant mind. I got the ones from pelicanparts. Rotors were Meyle (heard good things about them) $50-60 a corner, pads were oem-ish and $100. Got new screws/brake hardware at the same time. Old pads were good but just decided to do all of them together. 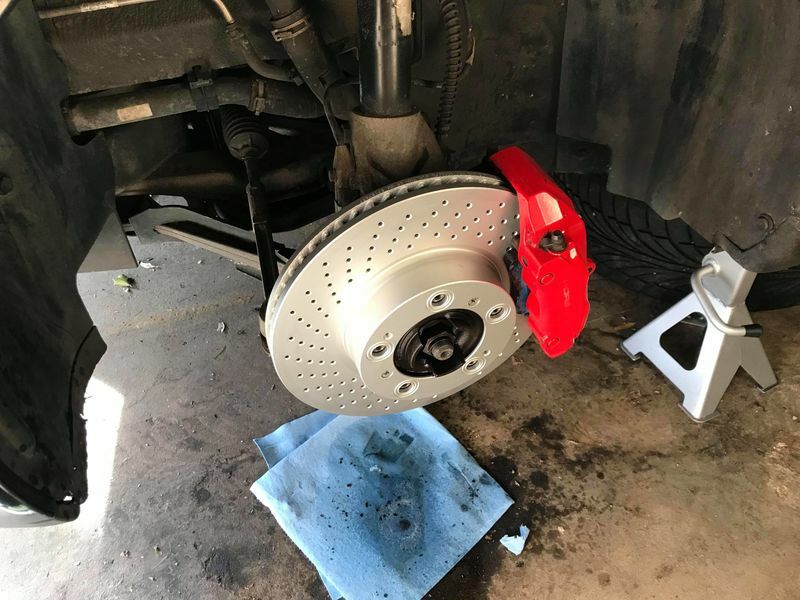 Are you planning a brake job soon too? i can't really visualize the set up in my head but i like the idea of using the cars weight to remove a part. Thanks for the tip tho, parts are really tough to remove sometimes and any leverage will save me a lot of headache. Will pop by a home depot and pick up a ratchet strap tmr! My car's been off the road and in the shop since early last July for an engine rebuild. 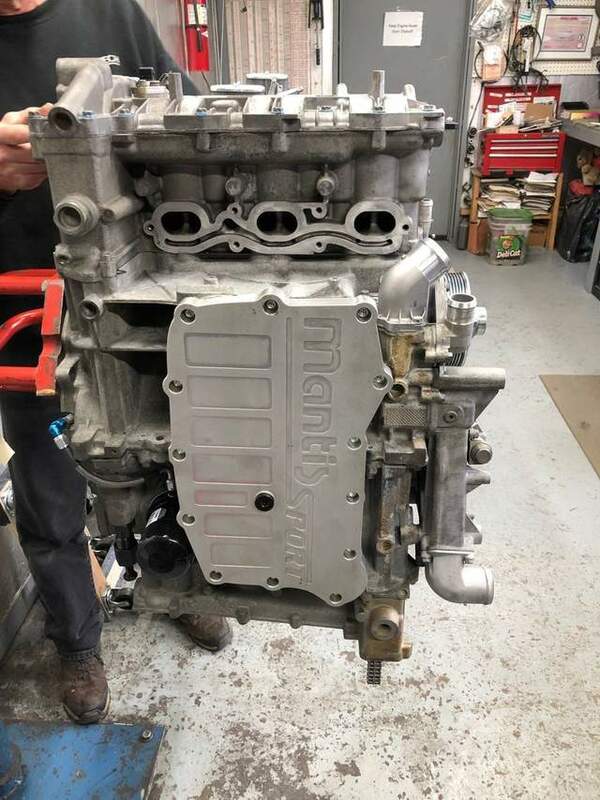 It took just a bit less than forever to have 3.6 LN Nickies installed, but the block came back a few weeks ago and the engine rebuild is almost complete now. Hopefully I'm back on the road in a couple of weeks and it will be broken in come Spring. Gonna be 68* today in tucson. So today is the day I'll lift the car on jackstands and try to install a new AOS. Winter is our convertible & car repair season and mostly I've been doing everything but. If time permits, I'll tackle the driver's door window, too. I put a new regulator in last year, the window has stopped working again. I like the idea of the 3.6 engine, PaulE, you're a much braver soul and have deeper pockets than I do. I'm kinda envious. Thanks Brian, I am going to be married to this car for a while. 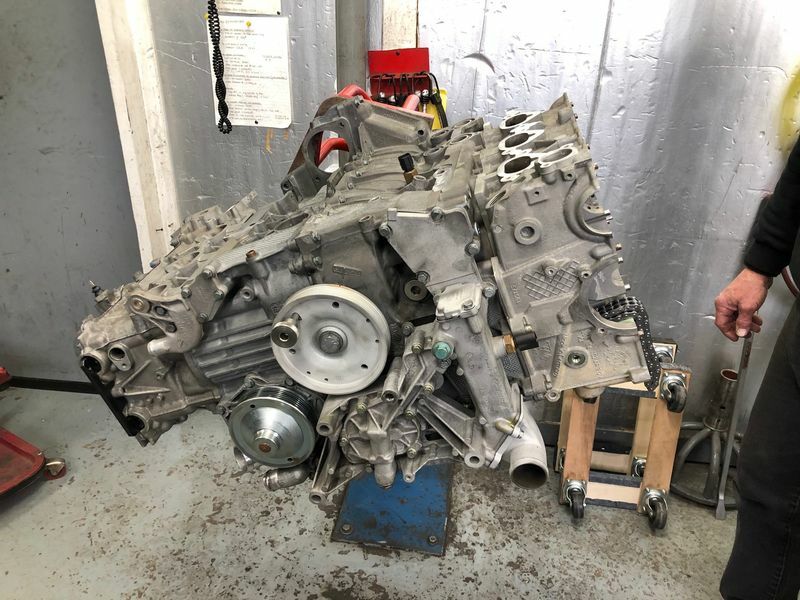 I struggled for a while with what to do, but in the end since there was no damage to the major engine components (block, crank, rods, heads) I decided to go for the rebuild rather than a used engine. I could have sold the car as a roller but it is really the perfect car for me to do a few HPDE's in each year and learn a bit about driving on the track. The Nickies at $5k were a luxury but Porsche OEM rings are $1,200, although there are others that cost way less than that. Planning stages, I still have 6-9 months left on the front. I am surprised by the low price on those rotors. Thanks for the info. Are you planning a brake job soon too? I successfully swapped out the LCD with the part from 914rubber. The actual task was super easy. There was some rusting/oxidation on the metal frame that holds the LCD, orange card, etc. I hot that with some De-Oxit and then buffed it off. I wished for Emory paper to really clean it up, but I just used some elbow grease, fingernails and a microfiber cloth to clean it up. The end result is very pleasing. -replaced the MAF with one I found locally from a wrecker for $75. Thought it would roll the dice instead of buying new and that not solve my issues. I cleared the CEL with my Durametric. No more CEL and it runs way way better. Better idle, smoother at low RPM range and the smell of over-fuelling from the exhaust is gone. 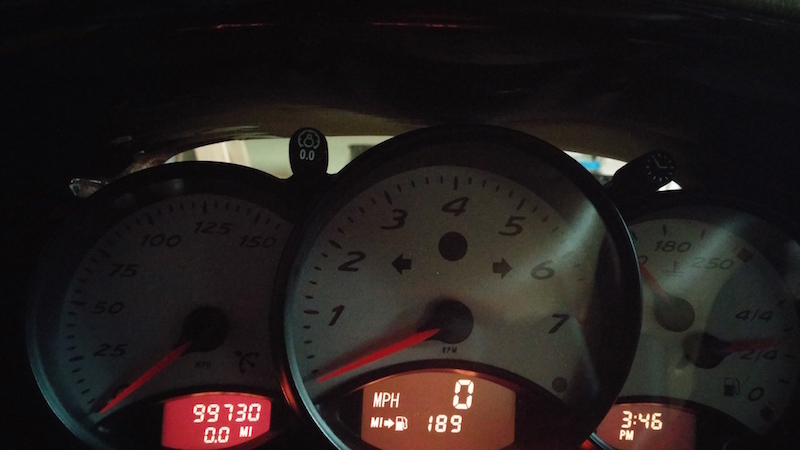 -I replaced the steering wheel airbag retainer frame with OEM porsche unit to fix the common horn honk issue. Works great now! No more issues. And of course took it out for a nice drive. Cold but sunny today in Vancouver BC area! My next repairs include engine mount and shocks/struts all around. It sure is rewarding bringing this little Boxster back to life after some hard years. very bad photo for now, i promise to provide better ones soon! I like the pic. It looks like it is about to be beamed aboard a space ship. If they take my boxster they better replace it with an equally fun car! Hahaha..
New to the game here.. bought my 03 a few weeks back... what is the OBC Hack?